United Sign: Welcome to United Gas! The daily grind of owning and operating a gas station, or any business for that matter often gets so hectic that you forget some of the essentials of business. Essentials like letting people know that you offer way more than what they need....you have things they want too! Our crack team of media mavens has come up with this really great 3-D mock up of a fictional gas station called "United Gas". Have a look at the 2 minute video and see if there is anything we can help you with by way of the common, everyday things you might not think about or have been putting off. Sure, it's a tour of some pretty common things, but they are all essential to your bottom line and your small investment will help return profits just by utilizing the space you have around you already! 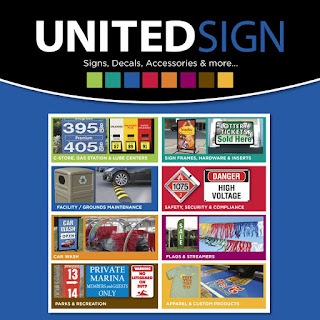 After you've had a look, click below and we'll help you get anything you need for your business! We're here to be an elemental part of your success!